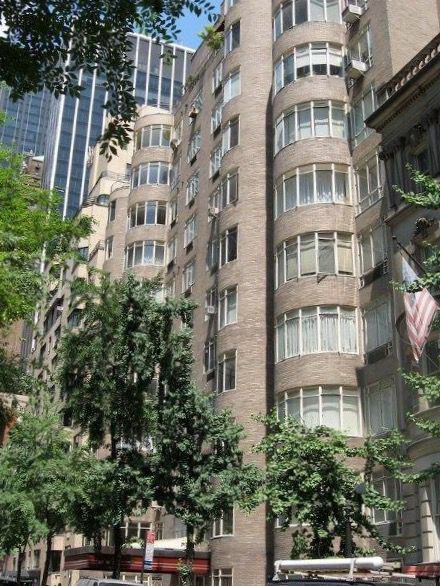 Designated a New York City landmark in 1984, it remains an iconic and elegant residential complex. Originally built with 208 units and professional spaces, the two separate structures are adjoined by a serene central garden. Apartments retain herringbone floors, ship-like terraces out of a Carole Lombard movie, and the fascination of the architectural community as to its inspired design and planned restoration. In collaboration with the Board and other professionals, Sacks Real Estate Management is coordinating all elements in a long-planned, phased-in renovation of The Rockefeller Apartments. In a serendipitous discovery, MOMA is a reference for the restoration, as the museum holds some of the original paint samples and other design elements used when The Rockefeller Apartments opened, 80 years ago.